Hurray, it's the 1st of March, and spring has well and truly sprung (at least, in our nation's shops)! Thinking of picking up a few new spring-y bits and pieces? I've done the rounds of the highstreet's spring collections so you don't have to - here's a wee roundup of the bits that caught my eye. You're welcome! At Topshop, there were more trends than you could shake a stick at: checks, colour, monochrome...you name it, you'll find it here. Matching separates were huge - lots of shorts with little jackets - along with intricately detailed mini skirts and oversized slouchy jumpers. 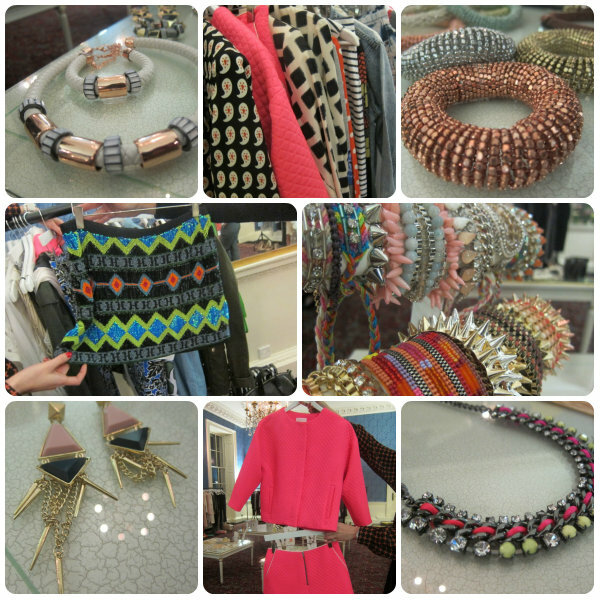 The accessories were really, really strong, from mixed metals to neon, crystal, rose gold and tribal inspired pieces. The collection at Warehouse was probably my favourite in that it most appealed to my personal style - I basically live in dresses and Warehouse do some of the prettiest around. There were some really lovely floaty embellished white dresses that had me dreaming of sunny beaches, along with some strong 90s inspired bits and pieces. I really fell for a black fringed tshirt adorned with silver metal balls - sounds horrific, but looks divine. It's definitely on my list. Anything catching your eye? 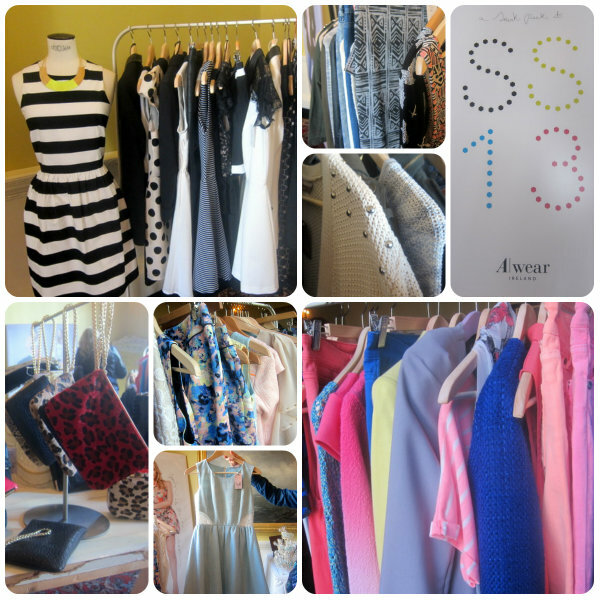 And what are your favourite highstreet collections for spring? Topshop collection looks fantastic. Really like the bright pink two piece. Their accessories also look so colourful:) Summer here we come. I love the look of that TopShop collection but the Warehouse is more inline with what I would wear. Great post!! Ok, so I'll be heading straight to Topshop!!!!! Love the topshop accessories and that pink, black & white pattern in the top row is luverly. I really like the bracelets in the topshop collection but the Warehouse clothes are more my style. It seems to be that bright clothes are very in at the moment.....pity they don't look so good on me! I have to say I ould buy the whole of Topshop right now... I love it all! I want that aztec-y skirt. Great colors! I'm with you and love those dresses at Warehouse! Wow, never heard of A|Wear before but their clothing looks gorgeous! Thanks for the introduction! Great pictures. Everything looks so great. I think Topshop's collection is so great. I think those earrings with the skinny long spikes are calling my name. I agree that Warehouse dresses are great! I used to buy frequently from them.